Positive economic outlook, progressive trade and industry policies and government initiatives have led to significant investments in India during the last couple of years. In just last quarter (April-June 2017), a whopping $10 billion was invested in Indian debt securities by foreign portfolio investors (FPIs). In recent years, the Indian government has taken several initiatives to revamp the domestic debt market and encourage greater foreign participation. These include increasing the breadth of the debt markets by introducing new investment products such as unlisted non-convertible debentures (NCDs), rupee denominated bonds issued outside India etc, or increasing the depth of the markets by hiking investment limits, allowing FPIs to re-invest their coupons in government securities and allowing them to trade directly in the corporate bond market. Recently, the government has announced an important measure to liberalise foreign investment in the corporate debt segment by allowing FPIs to invest in unlisted NCDs and securitised debt instruments. Domestic issuer companies and FPIs can now breathe a sigh of relief, given that the procedures relating to listing of these privately placed debt instruments (including obtaining a credit rating, making a listing application, etc) would no longer be a point of consideration for the transaction closure. The same will provide impetus to foreign investment in the corporate debt segment and is expected to attract long-term capital flows into the country. While the government is revamping various policies and regulations to strengthen the Indian debt market, there exist certain aspects relating to debt investments in the country which merit consideration while investing in domestic debt securities. Indian regulators may want to review existing conditions having regard to the increasing popularity of these instruments within foreign investors. Foreign investors have to choose the best route for debt investment in India as each of these have different regulatory restrictions and separate tax regimes. The avenues for investment in Indian debt include: (i) listed/unlisted non-convertibles debentures; (ii) compulsorily/optionally convertible debentures; (iii) perpetual debt instruments (iv) masala bonds; (v) ECBs (rupee vs dollar denominated); (vi) FCCBs/FCEBs; (vii) debt mutual funds; (viii) security receipts issued by ARCs (ix) PTCs issued by securitisation trusts; (x) units of REITs/InvITs; (xi) G-Secs; (xii) infrastructure debt funds; (xiii) debt alternative AIF; and (xiv) non-banking finance company. These investments can be made through FDI, FVCI or FPI routes. The Reserve Bank of India (RBI) has opened up avenues for investment in debt for non-Indian investors in specified debt securities subject to an overall limit of $51 billion. This limit is exhausted almost till about 97% as on July 26, 2017. This limit needs to be revisited by the central bank to enable additional flow of funds in Indian debt. Until then, investors would be required to on reinvest their sale proceeds within this existing limit. This is a huge concern today in further development of debt market in India. In a blow to foreign investment in bonds issued by corporates in India, RBI and the Securities and Exchange Board of India (SEBI), by way of circulars in 2015, restricted the ability of FPIs to invest in bonds having residual maturity of less than three years. Also, FPIs cannot invest in bonds with maturity over three years but having optionality clauses exercisable within three years. This significantly restricts the ability of FPIs to make secondary acquisition of NCDs in last 36 months of maturity and also restricts the ability of the issuer company to redeem such NCDs acquired by FPIs prior to maturity date. This will lead to reduced liquidity for debt securities with less than 36 months to maturity. Given significant and consistent flow of foreign investment in Indian debt securities, it would be ideal for RBI and SEBI to do away the aforesaid stringent condition altogether. Alternatively, regulators should consider to view three-year maturity from the perspective of the issuer/instrument only, and not from the perspective of the holder—that is, if the debt was originally issued for a period of more than three years, there should be no restriction on FPIs to acquire such instrument even in last 36 months to maturity. Recent relaxations which permit investment in unlisted NCDs is subject to certain end-use restrictions such as investment in real estate business, capital markets and purchase of land. While the term ‘real estate business’ is defined under the exchange control regulations, the term ‘capital markets’ is not defined and accordingly, the same is subject to wide interpretation. A clear definition of the term ‘capital markets’ under the exchange control regulations, to cover, say, equity shares listed on recognized stock exchanges in India, would be a welcome move which would provide certainty to investors on the interpretation of the term capital markets. Different restrictions apply for masala bonds, dollar-denominated ECBs and rupee-denominated ECBs. The proceeds from issuance of masala bonds/ECBs is subject to end-use restrictions such as real estate activities other than development of integrated township/affordable housing projects, investing in capital market and using the proceeds for equity investment domestically, on-lending to other entities for any of the above purposes, purchase of land, etc. Regulators may consider aligning end-use restrictions for all such investment avenues. Debt investments generally fetch regular interest income and redemption premium which are taxable under the Indian income-tax provisions. The timing of taxability of interest income has been a subject matter of debate—that is, (i) on payment basis (i.e. when the interest becomes due and payable) or (ii) on accrual basis (as per accrual principle of accounting). Based on several tax rulings, interest is taxable when a ‘right to receive’ is crystalised. However, it may be relevant for investors to consider the impact of Income Computation and Disclosure Standard (ICDS) – IV. As per ICDS IV, interest income of a tax payer following mercantile system of income will have to be computed and offered for tax on a time basis determined on the basis of the outstanding amount and applicable interest rate. While there could be an argument to the contrary, it is imperative for foreign investors to comprehend the remit of these provisions. One also needs to review tax treaties applicable to foreign investors for concessional rates as well as point of taxation. Finance Act 2017 introduced new restrictions on interest deductibility (thin capitalisation rules) in line with the OECD base erosion and profit shifting (BEPS) project, among other tax measures. These restrictions were introduced as a cap on the total interest deduction to 30% of a company's earnings before interest, taxes, depreciation and amortisation. The cap applies to interest paid or payable to non-resident associated enterprises by an Indian company or a permanent establishment of a foreign company in India. Any interest that exceeds the cap is disallowed under the new rules, but may be carried forward up to eight years and qualify for a future deduction. General anti-avoidance rule/treaty limitation GAAR provides for re-characterisation of debt into equity or vice versa in certain cases. Most treaties have built-in anti abuse provisions to restrict conduit companies from availing concessional rates of taxes, unless the recipient is the beneficial owner of the interest income. Multilateral agreement signed by India earlier this year casts additional onus on investors to prove that the principal purpose of structuring a debt transaction is not to avoid taxes. While most treaties provide for modest withholding tax rates on interest (around 10% to 15%), if for some reason treaty applicability is questioned, the tax rate on interest under the Income Tax Act is as high as 40% plus (20% plus for FPIs), which may be very punitive and therefore any creative structure in an endeavour to reduce a few basis points of tax should be carefully reviewed for commercial substance. Indian government has, however, offered a very lucrative withholding tax @ 5% on many instruments, including foreign currency ECB, NCDs investment by FPIs with a limit on interest rate, masala bonds, distribution of interest payable by REITs and InvITs, which is noteworthy. Clarity on the above aspects and relaxing the norms pertaining to foreign debt investment by the Indian regulators in a timely manner would boost investor confidence and result in greater foreign capital inflows in the long term. Debt investors are generally very price and cost sensitive (including tax liability). A few hundred basis points difference can make an investment opportunity from viable to unviable. Given different tax and regulatory regimes for each of these investment avenues, it is pertinent to explore all options available before investing. With inputs from Vishal Singh. 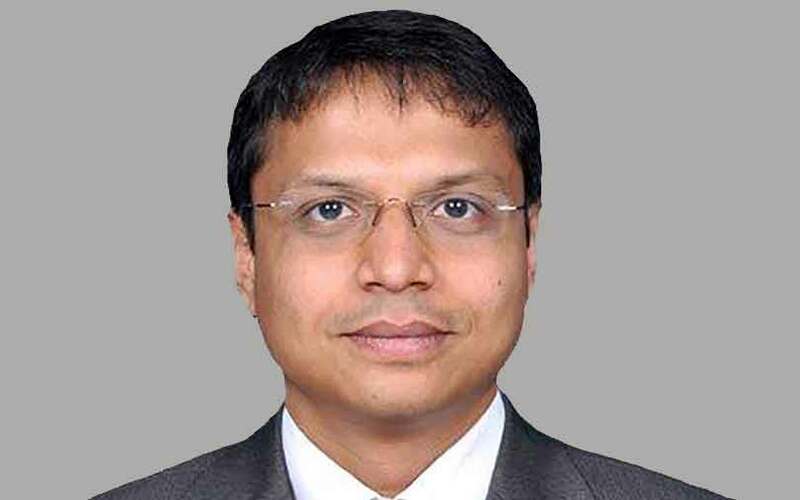 Bhavin Shah is partner and leader - financial services tax, PwC India. Vishal Singh, manager - financial services tax, PwC India, contributed to this article. Views are personal. Like this opinion? Sign up for our daily newsletter to get our top reports.